It was another night to forget for Douglas Costa when Bayern München opened the Rückrunde of the 2016-17 season on Friday night against SC Freiburg. Bayern head coach, Carlo Ancelotti, elected to start Douglas Costa over Frank Ribéry. Freiburg opened the scoring early on with a wonderful strike by Janick Haberer. Douglas Costa then assisted Robert Lewandowski’s tying goal by delivering a great corner into the box in the 35th minute. Other than that, however, the Brazilian remained a shadow of the player he was in the first half of last season, and was taken off for Ribéry in the 71st minute. The Frenchman later provided the assist to Lewandowski’s game-winning goal. Douglas Costa was sensational when he first signed for Bayern München from Shakhtar Donetsk in the summer of 2015. The quick and technically gifted Brazilian took the Bundesliga by storm, and was voted world class and best winger in the league by kicker magazine in January 2016. With 12 assists in the first 13 games, Douglas Costa was outstanding. He then picked up a muscle injury, and missed the last four games before the winter break. Perhaps it was the injury, but the Brazilian winger, in the second half of the 2015-16, failed to return to the high standard that he had set earlier. 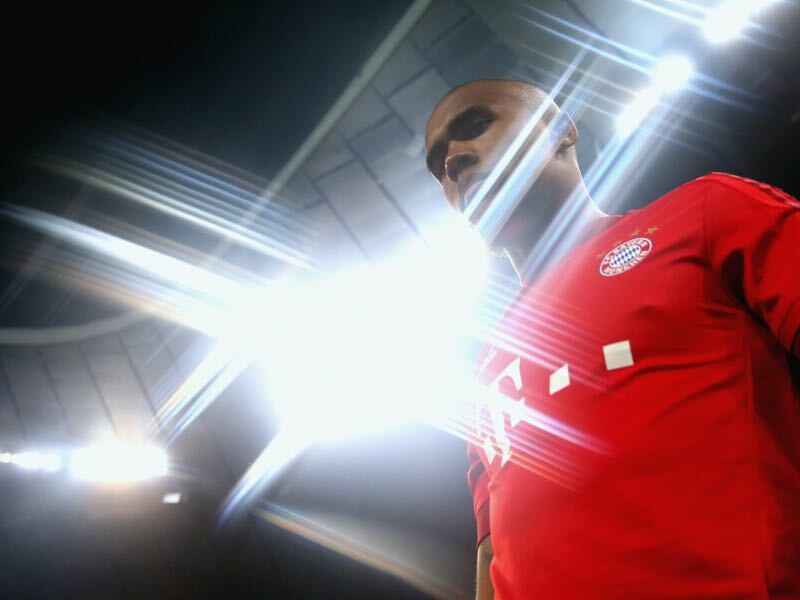 Assisting just twice in the first four games of last season’s Hinrunde, Douglas Costa’s form dropped dramatically. Douglas Costa finished the season with 14 assists, and four goals in 30 games. Overall, the numbers were not bad for a winger, but given the high standard set in the first half of the season, experts felt that his game no longer reflected the class necessary to be ranked among the top of German football. The big problem for Douglas Costa was the fact that German defenders had quickly deciphered the Brazilian’s play. Fast, technically gifted, and physically strong, Douglas Costa was often seen dominating the left side of the pitch. Running straight at defenders with pace, many defenders struggled at first to find solutions to defend against the Brazilian. A big reason for his success was the element of surprise. After all, when Bayern München purchased the talented winger from Shakhtar Donetsk for €30 million only insiders knew about him. By the winter, however, opposite defenders had found solutions to defend against the Brazilian. One way to stop the Brazilian attacking forward was to not give him the room to develop pace from deep in his own half. Another method was standing the ground against Douglas Costa forcing him out wide close to the bye-line, and thereby minimizing the space from which he could overwhelm defenders with speed. It was not just opposing defenders who made life difficult for Douglas Costa. The Bundesliga is one of the most physically challenging competitions in world football. For Douglas Costa, who moved to the league from the Ukrainian Premier League where Shakhtar Donetsk significantly dominated the majority of their opposition, this may have been the most difficult obstacle. The muscle injuries, suffered towards the end of the Hinrunde last season, suggest that Douglas Costa’s body had to adjust to the high pace of the competition. This is not to say that Douglas Costa lacked match fitness or was not working hard enough on his body. In fact, the opposite is the case. Douglas Costa works closely with a personal trainer, and is often found working out in private gyms around Munich. In terms of work ethic, this is reminiscent of the basketball player, Kobe Bryant, who is known to work on his throw for hours after a bad game. The Brazilian brings the same kind of work ethic by constantly trying to work on his weak spots. Joining Bayern München’s shark tank, where every single player is a national team player, having this kind of work ethic is crucial. But perhaps the extra work was simply too much, and, at times, it did indeed look like Douglas Costa was a bit overworked. Is the Brazilian training to much? Then, this season, Douglas Costa once again struggled with muscle injuries at the beginning of the season—he missed five out of the first seven games. He then went on to score three goals, and two assists, in eleven games in the Bundesliga. His standard, however, still appears far below the bar set in the first half of last season. It was, therefore, no surprise that Bayern chose to extend their contracts with both Arjen Robben, and Frank Ribéry. The club simply does not believe that Douglas Costa currently has the consistency to replace Ribéry on the left side of Bayern’s attack. 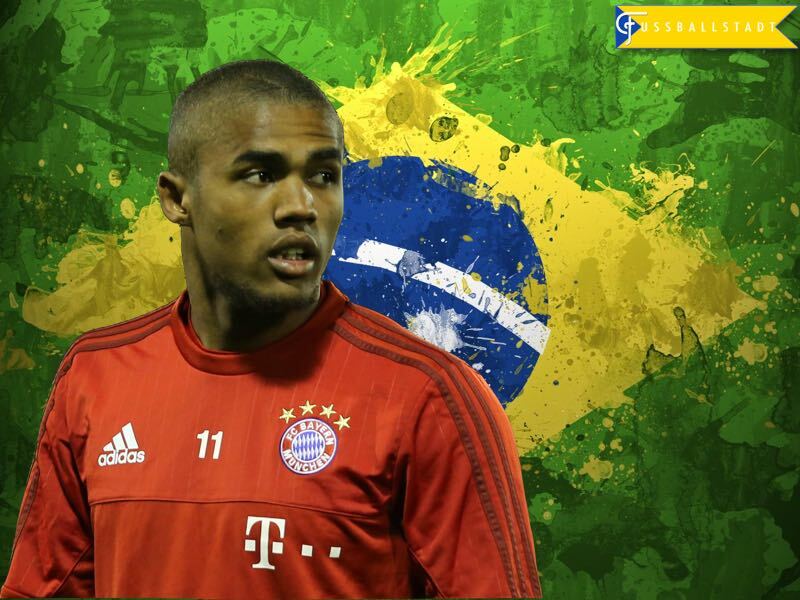 At the same time, Douglas Costa has demonstrated that he has the potential to be part of Bayern’s attacking future. With his pace and technical ability, Douglas Costa could even become a world-class winger on his own merit. At now 26-years of age, Douglas Costa will be 28 when Frank Ribéry is projected to hang up his boots in 2018. By then, the Brazilian needs to add another dimension to his game, another element of surprise, in order to inherit the mantle of König Frank.